A city in the Canadian province of Ontario, Mississauga sits on the shores of Lake Ontario and makes for one of the most beautiful regions to visit. 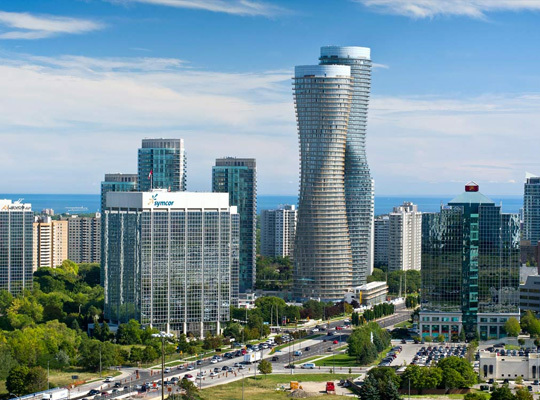 With its fantastic proximity to Toronto and Pearson International Airport, Mississauga is truly a place you’ll move around easily. Wandering around the area can be even more effortless and comfortable if you choose to take advantage of VIP limo 4you’s “limo rental near me” and our fantastic fleet for the lowest rates. Mississauga is officially the second-most populous municipality in the Greater Toronto Area, and it attracts a lot of out-of-towners and foreigners (especially freelancers) who either make it a nearby stop-spot on their traveling routes or even stop to build a home in this gorgeous place. If you are coming to Mississauga from Toronto Pearson International Airport, the best way to reach it is through reliable black car services popular in the area or using the public transportation near your location. Locals rave about VIP limo 4you’s “airport limo service near me” and call it by far, the most reliable type of transportation in the area. Traveling around GTA – from or to Mississauga and other GTA areas like Ajax, Richmond Hill, Pickering, etc. is also made possible with Ajax Limo Service, Limo Service Richmond Hill, Pickering Limo Service, and other GTA area-based limo services. Serving the GTA and Toronto for over a decade, VIP limo 4you has built a strong customer base and is actively expending it by offering the best possible customer service, great rates and exceptional chauffeur engagement. Whether you need an airport transportation or a ride to a special occasion, graduation celebration, wedding or a birthday, VIP limo 4you has got you covered. Business people have the opportunity to design their own corporate ride and enjoy the benefits of By the Hour and Point to Point transportation. Creativity, innovation, and flexibility in our limo offer make for our primary service goals; just give us a ring and trust us with your ride. You come first, and everything you expect to get from a “car service near me” – VIP works to deliver. VIP Limo 4you comes prepared for any type of occasion you need a limo for, and our chauffeurs know the roads as the palm of their hand. Next time you browse for “limo service near me” or a “chauffeur services near me”, know that VIP is your best option.